Maintaining friendships. Building a great company. Spending time w/family. Staying fit. Getting sleep. We may not all be Zuckerbergs, but like any small business owner and entrepreneur will tell you, there’s no magic formula for success outside of hard work. You save where you can and find how you can make the most bang for your buck (and lose a lot of sleep in the process). But one thing that can’t fall to the wayside is your website. Not convinced? Let’s take a quick pop quiz. The setting: you meet a friend for lunch, and they happen to mention the newest taco place that’s sprung up in town. They aren’t exactly sure of the hours, but heard their guacamole is incredible. Which scenario makes it more likely you’ll try the new taco place for dinner? If you’re a small business owner, welcome to the decision-making process of your customer in 2016. According to a study by Yelp, 85% of consumers use the internet to find local businesses. Even more importantly, 88% of consumers who search for a type of local business on a mobile device call or go to that business within 24 hours. Despite this, Local Search Association Insider found that almost half of small business websites aren’t accessible by mobile, and 45% of small businesses don’t have a website at all. Registering for a unique domain can cost your business as little as five dollars a year. In comparison, having no website at all could cost you 88% of customers who would’ve given you new business if you were searchable online. Creating a positive web presence is a low risk, high return scenario. All it takes is a little effort up front and automated ongoing web tools to maintain quality-control. Here are a few ways to make your small business website worth the investment. First things first: it’s not a good investment to spend time and money creating a website that no one ever visits. According to Hubspot,75% of users never scroll past the first page of search results, and 60% of all organic clicks go to the organic top three search results. 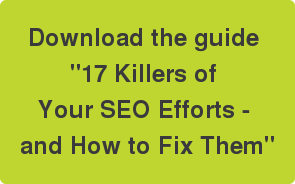 If your website isn’t coming in first in SEO under your designated keywords, it’s as good as coming in last. What does this mean for small businesses? 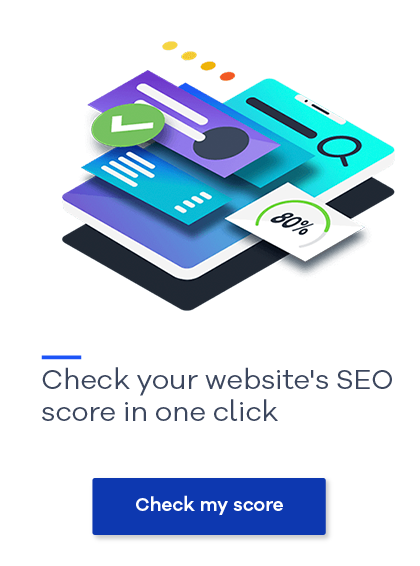 If the majority of your website visitors are coming in through mobile phones, then your site needs to be optimized for mobile to get the best search engine rankings. No one is clicking through to the second page of Google results (unless they’re very, very determined or very, very bored). Luckily, SEO can be tackled by small businesses, even if you aren’t an “expert.” There are plenty of free resources available online on the SEO basics, including our recent post on keyword strategy 101. Remember, although it may seem like a lot of research up front, establishing your website around SEO best practices and mobile optimization is easier than trying to build your website around a good mobile experience later and fighting your way up the page one rankings. Did you know that 49% of sites fail to comply with basic usability principles, and 50% of online sales are lost because visitors can’t find content? Don’t make your customer have to hunt through your website for the information they need, because like in the case of SEO, they may not make it to the second page. Instead, find out what information is most important to your customer and create a simple navigation structure to guide them there. Just because it seems obvious doesn’t mean that it is. Close to 60% of local business websites don’t have their phone number listed on their site. Your customer may be able to find your website on the first page of Google and access a beautiful homepage, but if links to contact forms or menus are broken (or worse, your own business name is misspelled in the header), that could quickly bring the buyer’s journey from prospect to customer to a complete halt. Why? Inaccurate content is one of the top three reasons why consumers lose trust in a brand online.Small business owners may be intimidated by websites because they don’t feel they have enough content to populate them, but it is better to have a small, quality-driven website than no website at all. Don’t worry about constantly changing features or feeling as if you have to expand your website to be successful. Focus on presenting visitors with accurate information and your online reputation can only increase. Social media allows small businesses to interact with customers more than they ever were able to before. With 69% of consumers more likely to use a local business if it has information available on a social media site, Instagram, Twitter, and Facebook are a great means of driving more traffic to your business online and in real life. You can include links to your website in your profile “about me” section and promote exclusive offers to your followers online that others may not be able to access outside of your website. Social media is also a great opportunity to show the “behind the scenes” of your business and make customer interaction more authentic. Not only can they dine in and eat incredible guacamole, but they can watch a video of how the guacamole is made on Instagram or view images of the latest trip to meet local growers who produce the delicious avocados. Then, you can invite them to visit your website for more information.